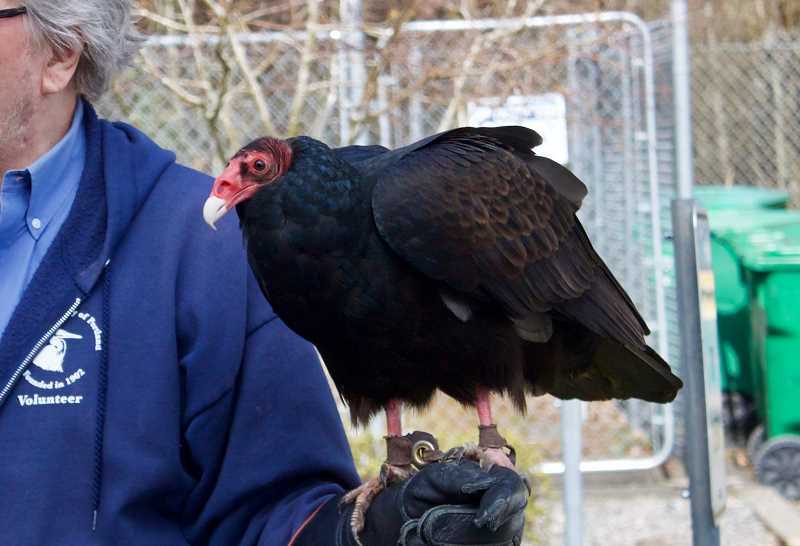 The origins of Ruby the turkey vulture are somewhat of a mystery for the staff at the Audubon Society of Portland. In 2007, the organization, which helps protect native birds, received a call about a tame vulture that was hanging around a home near McMinnville. It had flown down to the ground, threw an acorn at someone's feet, slept on the caller's porch and even jumped on her arm. That vulture was Ruby, and experts with the Audubon Society and U.S. Fish and Wildlife determined she had most likely been illegally taken from the wild as a baby and imprinted onto humans. As a result, she cannot be safely returned to the wild. 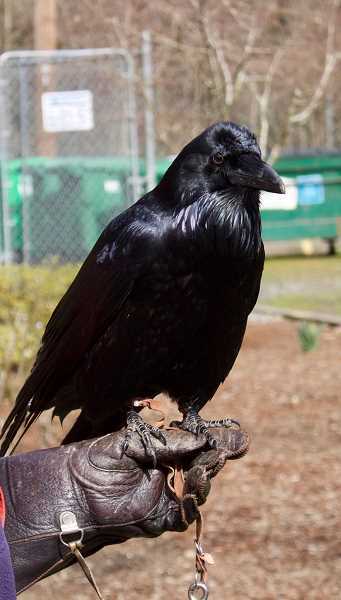 But Ruby now serves as one of the group's education birds, and every spring she visits East Multnomah County for Welcome Back Vulture Day to celebrate the return of the migratory turkey vultures to Oregon. 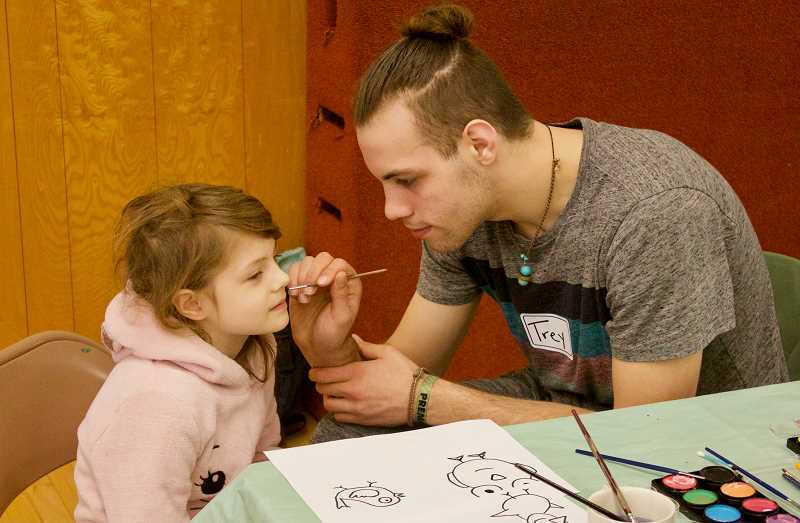 The event was hosted Saturday afternoon, March 16, at Nadaka Nature Park and St. Aiden's Episcopal Church, 17405 N.E. Glisan St. In addition to saying hello to Ruby, visitors were able to compare their "wingspans" to a California Condor, create vulture crafts, play vulture-themed games, get their faces painted and go on a guided bird tour in the park. There were snacks and educational booths to teach the many young visitors all about birds. Ruby brought along two of her friends to the event as well. 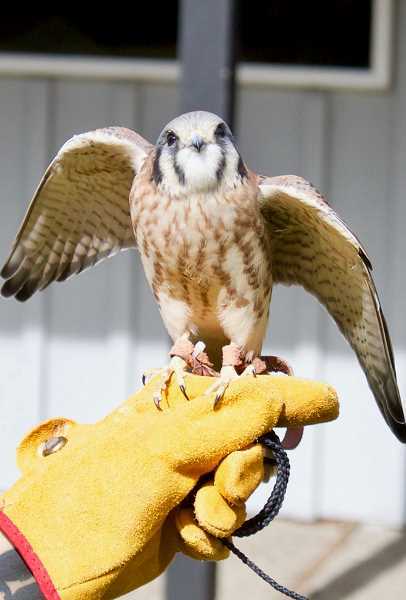 Xena, an American Kestrel, arrived at the center in 2017 after being found in Vancouver, Wash., with a broken wing and leg. There was also Aristophanes, a common raven who loves solving puzzles. His handler shared a story that last year he planted a stick in the ground to serve as a scratching post to alleviate a particularly annoying itch while he was molting.